LASIK is a laser eye surgery that can greatly reduce or eliminate your need for glasses and contacts. In a brief 30-minute procedure, the surgeon gently reshapes your cornea with a laser. The whole procedure is quick and provides very little discomfort. Most people even see well enough to drive the next day and return to work. To learn more about the LASIK procedure, visit www.COLAinc.com. Your eyes are as uniquely shaped as your fingerprints. 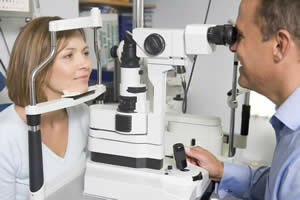 A free consultation allows you to find out if you’re a good candidate for LASIK or a similar procedure. We can help you set this up by calling (831) 426-1050. Ask us today if LASIK is right for you.